There are currently 1 Commercial properties for Sale & Lease in Melbourne, VIC. We have 19 Commercial properties for sale and 301 Commercial properties for lease in melbourne .With 308 Offices, 8 Other Commercial Properties, 2 Industrial Warehouses , 1 Hotels and Leisure and 1 Retail Shops for Sale & Lease. The highly urbanised city of Melbourne is also the second-most densely inhabited city in Australia. With a substantial skilled and working population and a highly productive commercial environment, the city has become the hub of trade and commerce. Being the second most liveable city in the world, Melbourne is leading the way in financial services, healthcare and professional services. Also, the presence of headquarters of some of the biggest conglomerates in Australia has made it an economic powerhouse. The city generates a whopping gross local product of $94.96 billion and offers thousands of jobs to locals and immigrants every year. Consequently, the need for bigger and better commercial spaces is increasing in the city and giving rise to the sale and purchase of commercial properties. The appearance and cleanliness of these built properties play a significant role in the sales process. Unkempt and unorganised office spaces can make the buyers look for other options which have a proper cleaning schedule. In fact, cleaning and sanitising a property can help in selling it in the quickest possible time. Regular cleaning of an office space can work wonders in uplifting its settings which aids in enticing the buyers. if you need professional cleaners in Melbourne to clean your commercial property efficiently, click here. For sale is a safe and secure storage unit in Melbourne's CBD @ 601 Little Collins Street. 24/7 access with security code, CCTV security coverage. Easy access via parking bay and large lifts. Perfect for document storage, sporting equipment or furniture, rent options with company for short or long term leases, can store personal or professional items. Whether you are looking for temporary storage or a more permanent use, a self storage solution that's right for you. Easy access to your goods High security premises size approx. 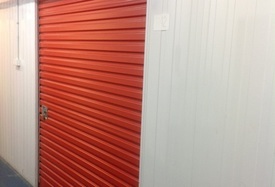 9 m2 Currently rented at approx $100 Self storage cater for all types of business and home storage. Use our expertise to help you with moving, storage, relocation, packaging, etc. These are ideal as a small set and forgotten investment or storage for whatever reason you might have. If interested please call for more information.